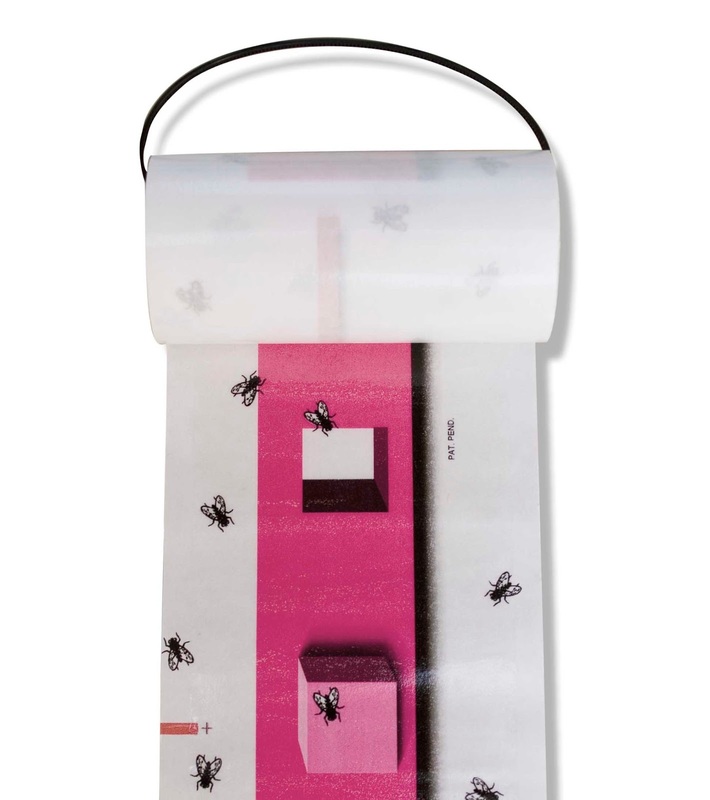 Many wasp and fly capture bags are available on the market but most are wasteful with the complete trap being disposed. 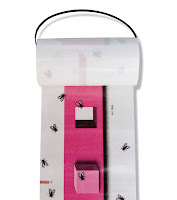 The Trécé Squeeze and Snap Trap system has a replaceable bag, making it easy to dispose of trapped insects and minimise waste. Separate packs are available with specific lures for Wasps and Flies. The Squeeze & Snap Trap is a fast acting, high-capture-rate lure in an easy-to-use, disposable or reusable trap featuring the convenient Squeeze & Snap technology. Squeeze & Snap will give you a definite edge in your battle against nuisance fly pests. The Silvandersson of Sweden Agriline range of insect glue traps provides a wide portfolio of insect catching solutions for many different animal husbandry situations, whether it is just for a few hens, a single pony or a shed full of livestock. 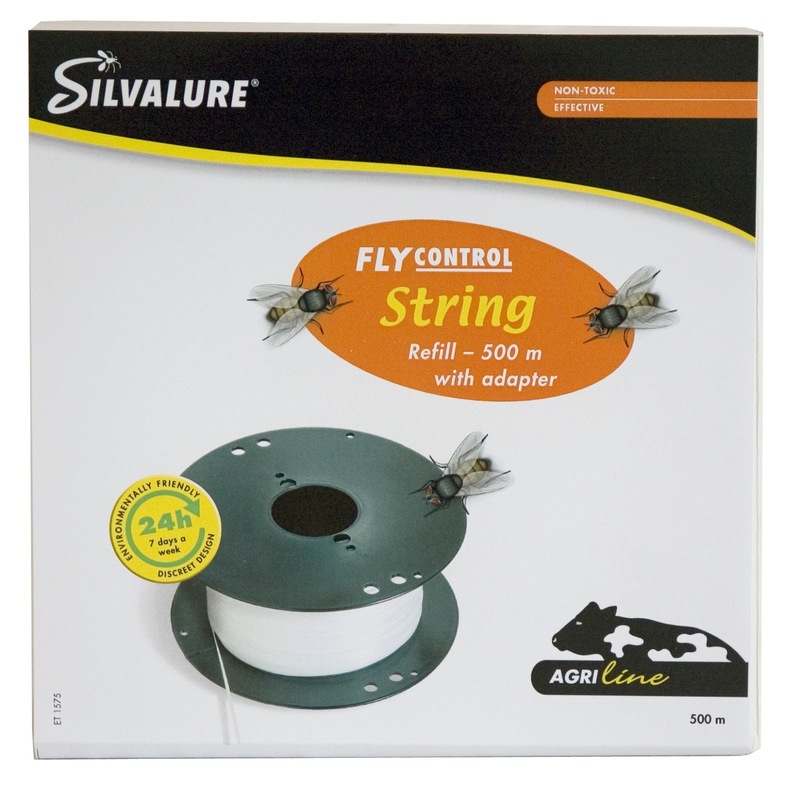 The Agriline is a range of fly traps targeted at the farming sector, particularly stables and livestock farmers. 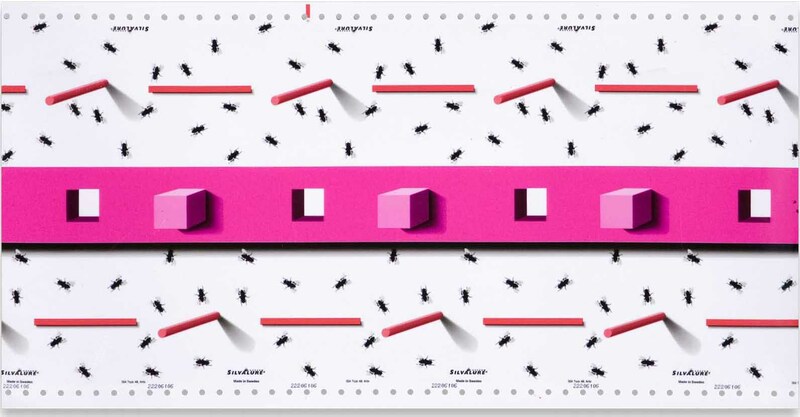 The glue coated paper uses a patented design incorporating fluorescent colours and 3D patterns that have demonstrated they influence a fly's landing behaviour so the glue coated surface catches more flies. Fly Curtain: A large glue roll that can be hung vertically like a curtain from a wall or central support or that can be suspended horizontally across two supports. Measuring 30cm wide and 30m long it provides 9m² of glue coated surface for catching insects. A small section of glue surface can be exposed at a time and this can either be torn off or folded over to expose a new section. Can be used inside or out. Comprising paper on wire hanger, the trap can be separated after use for composting and recycling. Fly Roll: A small glue roll that can be hung vertically like a curtain from a wall or central support or that can be suspended horizontally across two supports. Measuring 10cm wide and 6m long it provides 9m² a small section of glue surface can be exposed at a time and this can either be torn off or folded over to expose a new section. Comprising paper on a plastic hanger, the paper can be used inside or out. 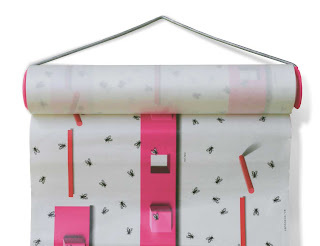 Fly Sheet: A large sheet of glue coated card that also uses the patented 3D pattern and fluorescent colour. These sheets come in a pack of 8. The sheets can be hung vertically or formed into cylinders to place around pipes and other structures. 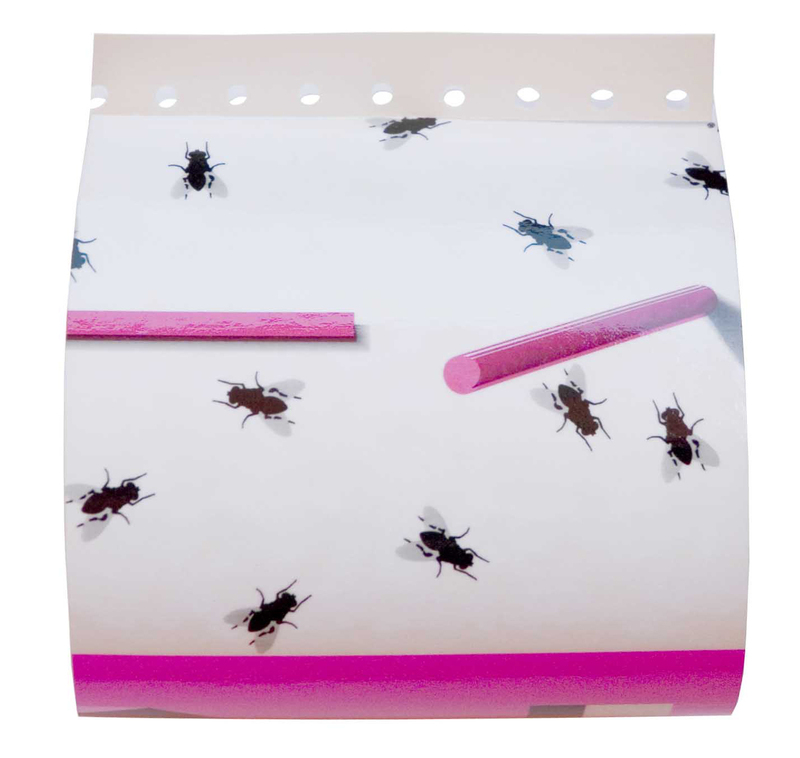 Flies like to be in places where it’s warm and sunny and where the ventilation is poor, ideally south-facing windows. 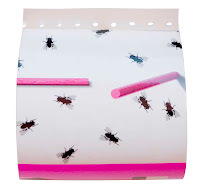 Find out where flies prefer to be in the area that you wish to treat, and set up your fly paper there. Fly Sleeve: A small sheet (11cm x 30cm) of glue coated card that also uses the patented 3D pattern and fluorescent colour. These sheets come in a pack of 12. The sheets can be hung vertically or formed into cylinders to place around pipes and other structures. Can be used in smaller animal structures such as chicken sheds. Fly String: A 500m length of glue coated plastic string on a robust reel with that comes fully equipped for suspending in medium sized or large animal sheds. Also included are adapters should alternative systems already be in place. The reel is designed to be mounted at ceiling height. Flies land on the string and get caught in the sticky glue. 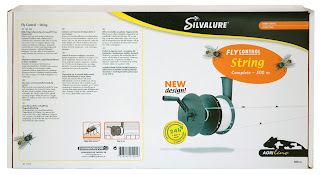 As the number of flies increases, the dead flies can be wound up on the second reel, which at the same time exposes new glue coated string to catch more flies.